Celtic knots have been part of historical art since its appearance at around 450 AD. More recently, people have adapted these mysterious knots from tattoos to jewelry. 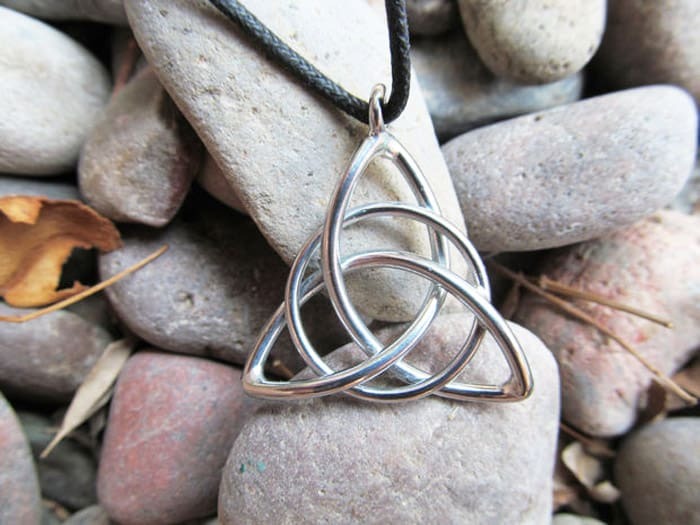 Although Celtic knots may appear complicated to look at, there is countless jewelry that adapts its beautiful designs. 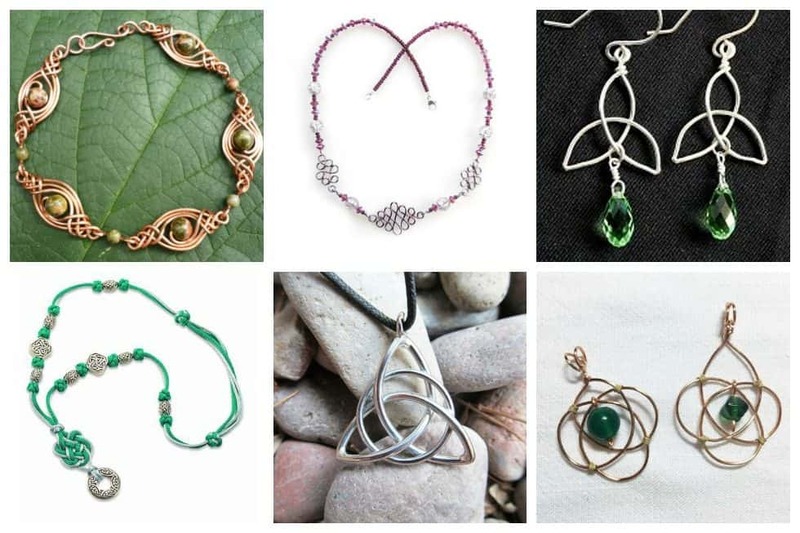 Below, we have gathered Celtic Knot Jewelry projects that you can try for yourself. 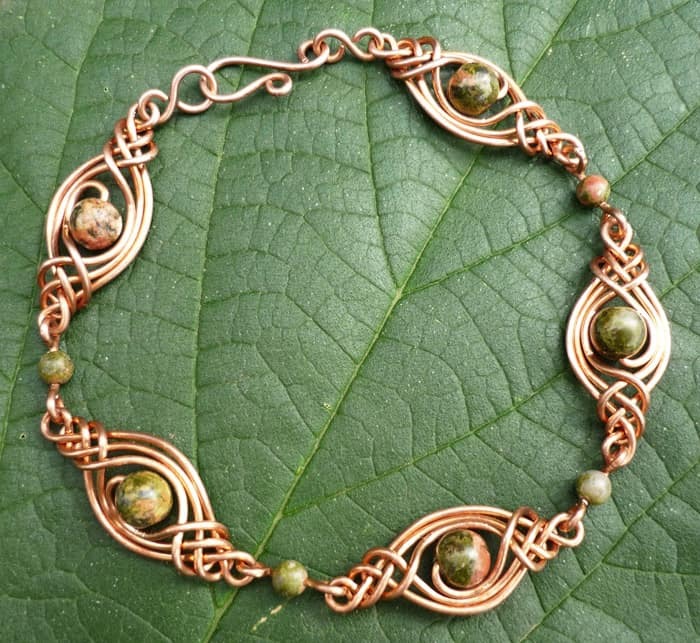 This particular piece is made with a WigJig jewelry tool. 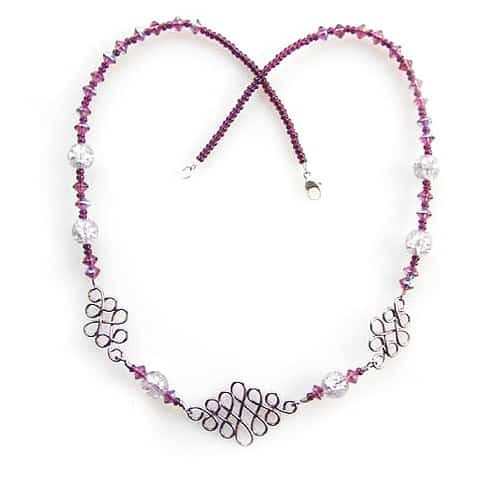 This lovely necklace boasts of beads and a purple wire. The never-ending knot dates way back to the late Roman Empire. Probably even sooner. It can be found in several cultures within their art and architecture. I’m most familiar with it within the Irish, Scottish and Welsh culture. This pendant can be difficult to make but a couple well-placed notches make it possible. 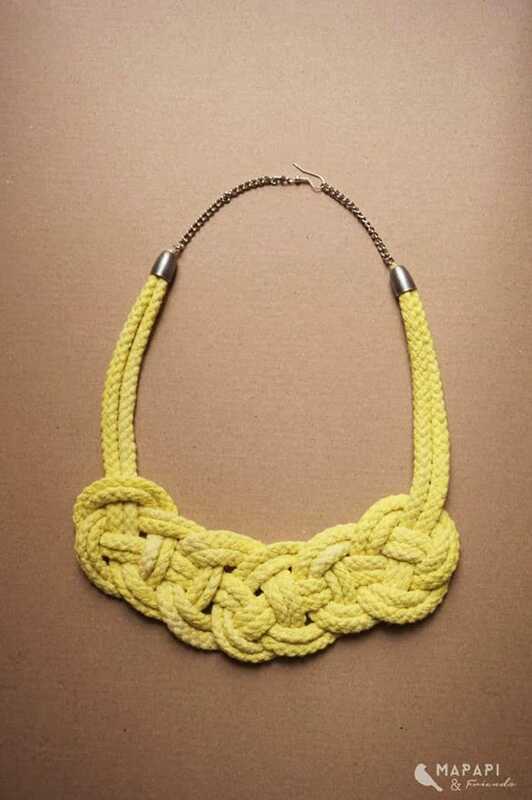 A statement necklace worked with one long piece of cotton rope and chain. To the monks of early Christianity, the square symbolized the creation of the manifold universe. They used the geometric method of construction to create knots to fill squares in their designs for embellishing manuscripts. This knot fits into a square, although here we have adapted it to make a necklace with a pendant so the shape has become slightly elongated. Knots made with cord (compared to knots constructed geometrically on paper) have a life of their own! These are easier than they look! 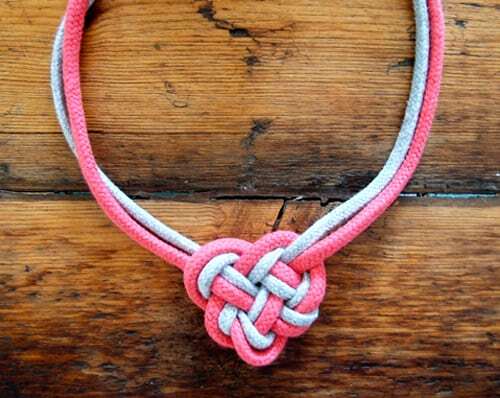 All you need is a little wire a few beads to make this knot pendant. 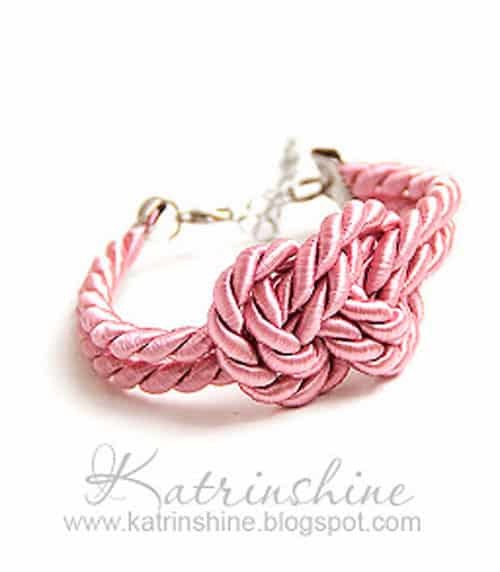 This bracelet also works with a more nautical theme by changing the cord’s colors to red, white and blue. 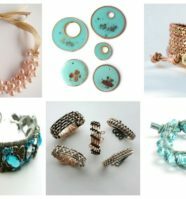 The Celtic pattern can be applied in a variety of ways, and this type is great for bracelet components. 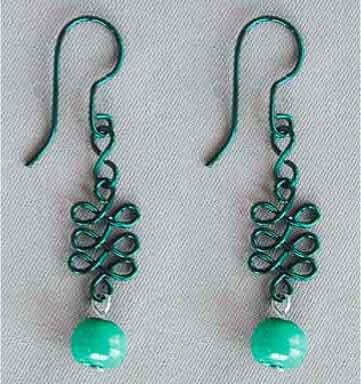 A step by step pictorial for this easy earrings design. 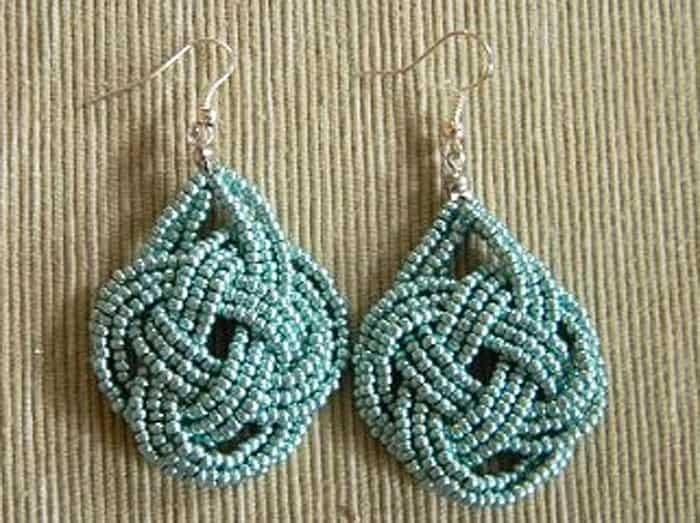 It might need a little finagling to get the knots even when making two identical earrings. 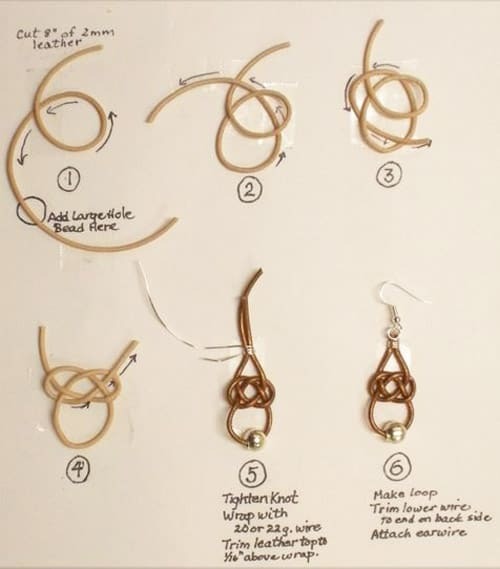 Follow the step-by-step visual instructions to create these Celtic knot earrings. 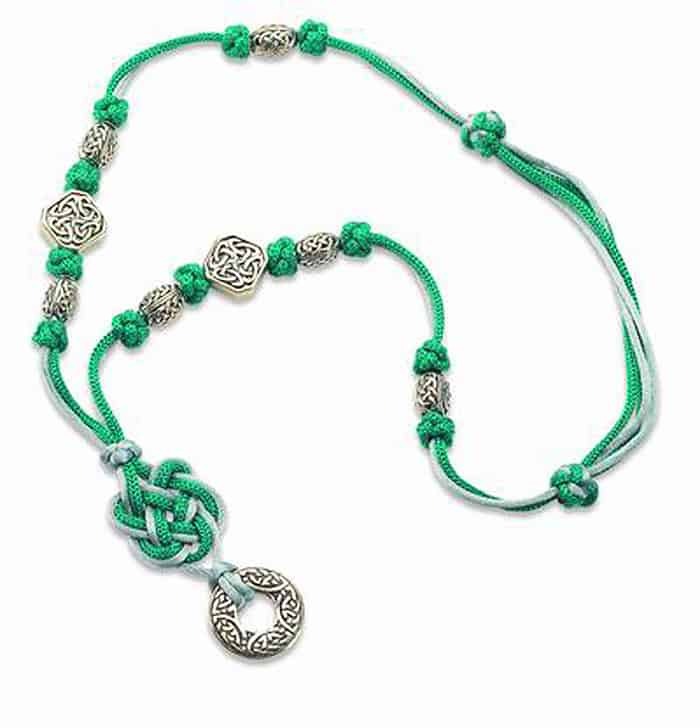 This bracelet could not have more fashionable attributes: an ombre, Celtic knot, friendship bracelet with a giant Oriental art button for closure. 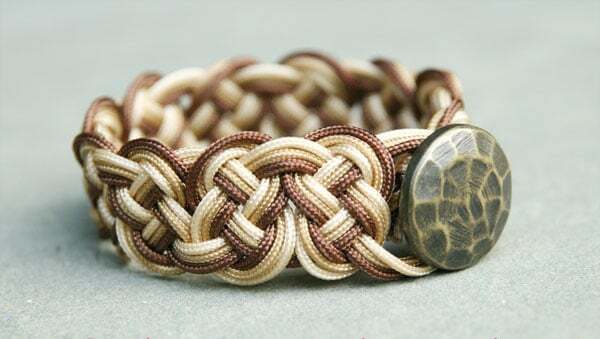 It’s just a lovely bracelet that is fairly easy to make with this tutorial, and a good dose of glue to deal with slippery yarn and a button that must be secured. 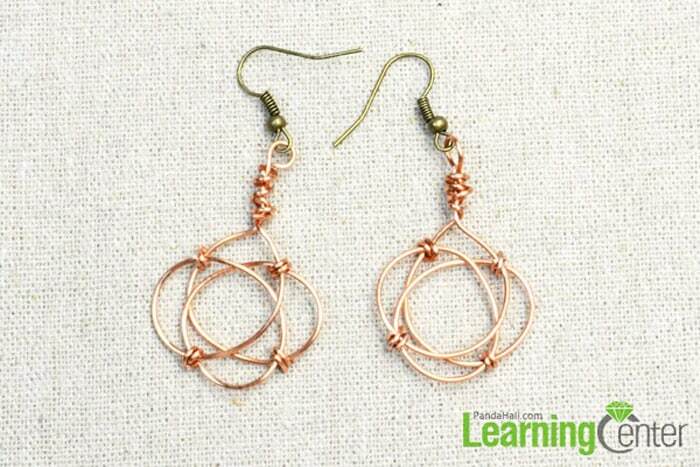 Learn how to make Celtic knot earrings with copper wire. 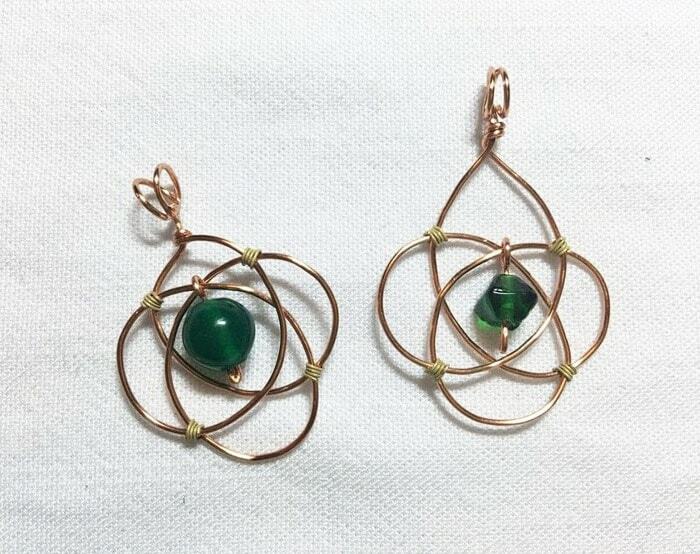 Finish off the Celtic knot earring only with copper wires, and the method is simple and creative. 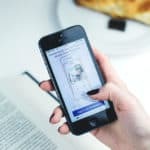 If you’re looking for ways to kill some time while doing something that’s actually productive, we have good news. 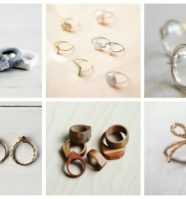 This article would help you creating these DIY gorgeous earrings, that aren’t just easy to make, but also look sophisticated. 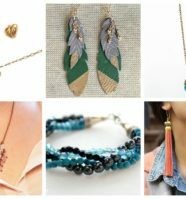 You can even find similar earrings at shopping malls or department stores; so you can save bucks while looking great! 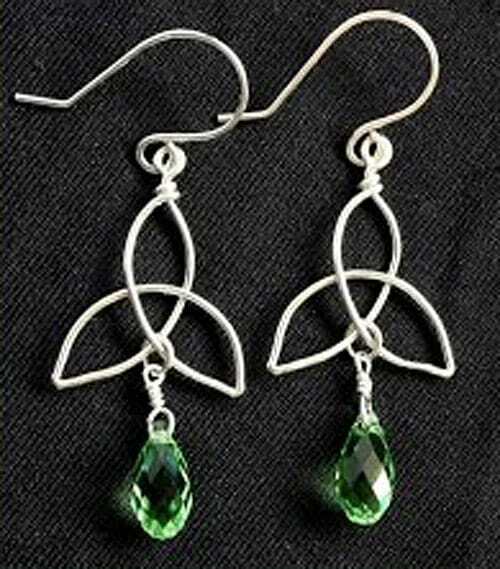 Learn how to make a wire wrapped Celtic Knot / Triquetra charm and earrings in this beginner friendly jewelry video tutorial. This is a tricky DIY but also a quick one if you get your head/fingers around it. 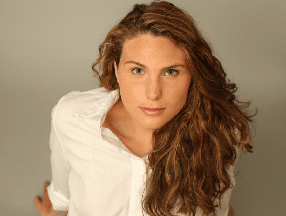 You probably have all you need at home already, i.e. 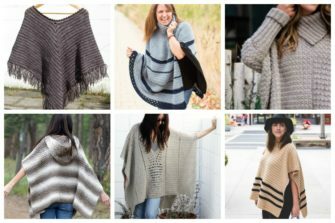 a couple of hoodie strings or any other rope or string. 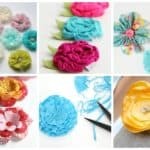 String necklaces have so many different types you can make yourself in no time. Aren’t Celtic knots fascinating? For some, there are special meanings to different types of knots and have been used to symbolize life, love, etc.